And speaking of "one," the W1 Drift skates have just one wheel each too. 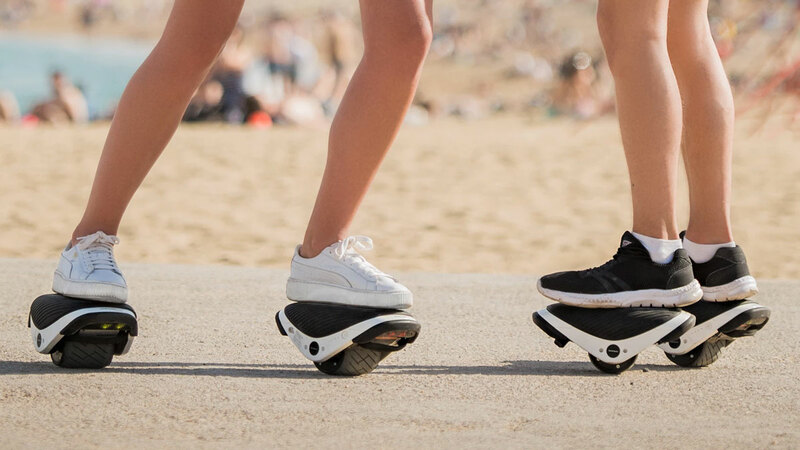 One self-balancing wheel to haul your right foot, and one to haul your left. Hopefully together. But if they get confused or out of sync, don't worry. 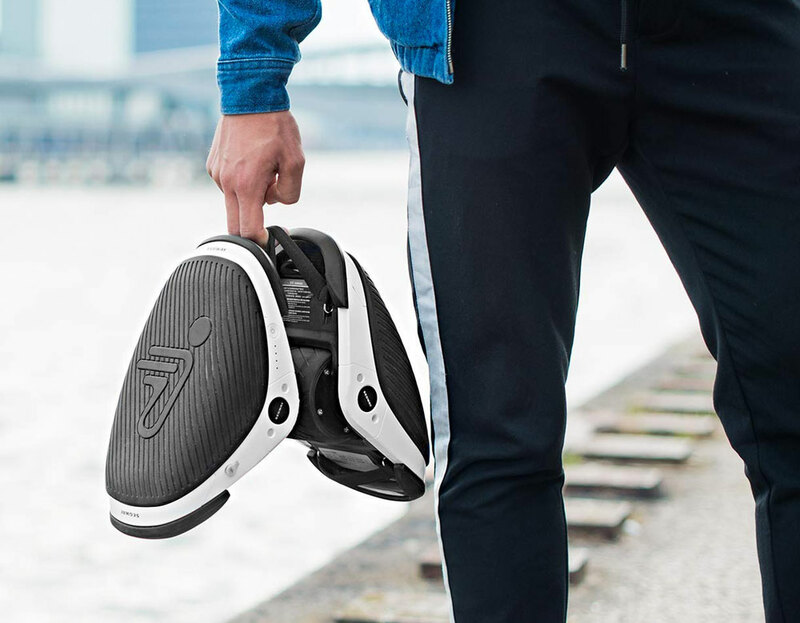 You can disengage from these eRoller Skates real easy because they've eliminated the complicated laces and velcro straps. In fact, they've eliminated the skate boot altogether! Is futuristic throwback a style? 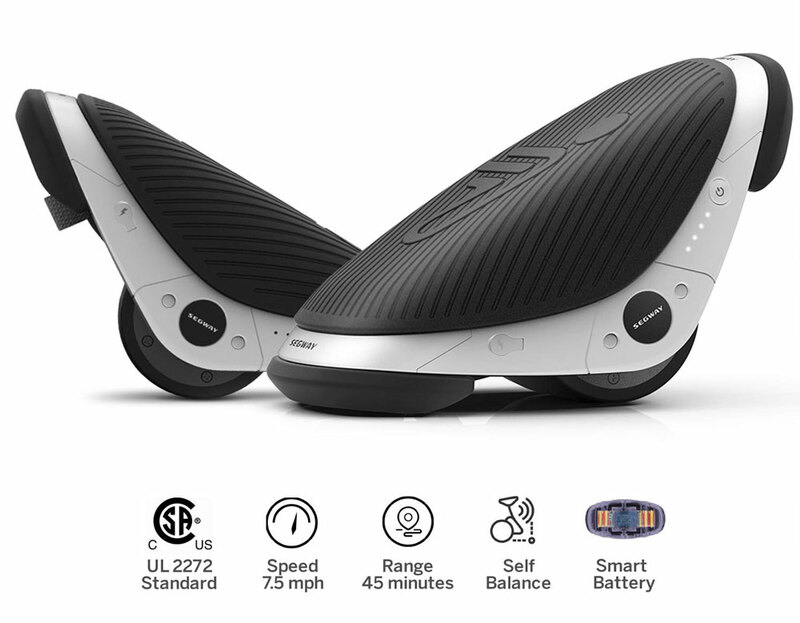 Or has Segway created a new on with their one-wheel, no-shell Drift W1 design? 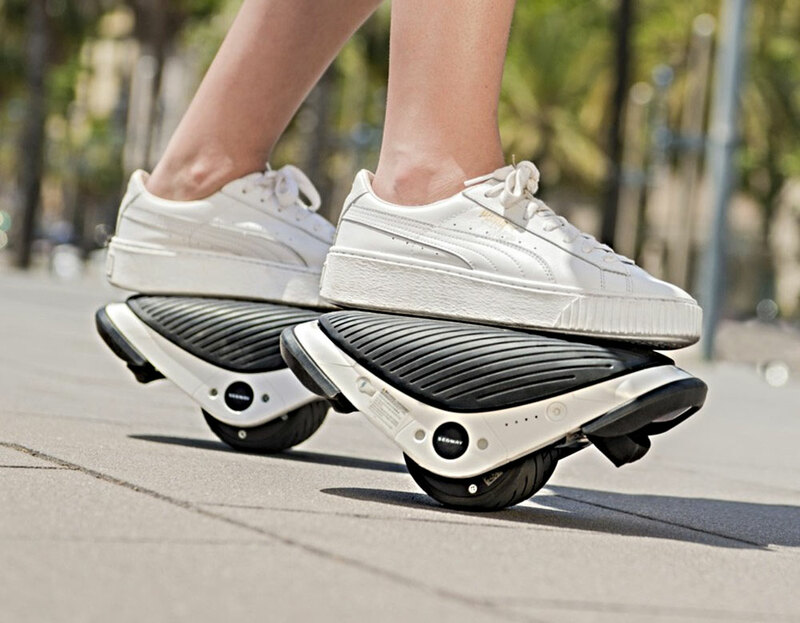 From the top these roller skates look more like the knee pads you should probably invest in alongside them. Add some adjustable RGB lights at the front and you've got a little bit of 80s nostalgia buried deep inside the technological tomfoolery of the 2010s.